Many senior living communities across the country are starting to recommend bringing your furry friend from your current residence to your community residence. Pets provide a sense of purpose, calmness, companionship, and security for older adults. 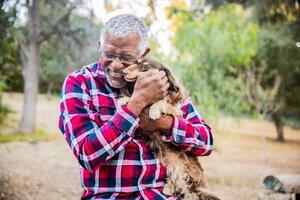 Check out this post from Aging in Place about how having a pet can improve the aging process. So what are the best ways to include pets at your senior living community? There’s no doubt that an include pets in day-to-day community life.having a pet companion not only improves quality of life for seniors, but also provides residents with opportunities to stay active and interact socially with others. Here are some ways that you can include your pet in day-to-day community life. Senior living communities have invested in making specific spaces for your furry pal to get regular exercise and be safe to roam in a fenced-in area. These common areas are great for residents to socialize and interact with their pets while feeling secure that their companion won’t run off. A few of our Active Aging sites have community dog parks and regularly host events and programs to ensure socialization and fun with pets. Tracy, a NIFS Active Aging Manager in Mystic, Connecticut, started a program once a week called YAP it UP. Residents meet at the community dog park and chat with others while exercising with their pets. Another great bonus to Tracy’s program is that residents without pets are also are encouraged to join so that they can enjoy the company of both their peers and pets. This is one great example of the many benefits that pets can bring to your community. What better way to get your pet involved than with an outdoor community dog day event? This would be a great way to show off your creativity and expressiveness. There are many ways that your community can host a dog day event. Best in show: Host a fun, lighthearted dog show for community leaders to judge your furry friend. Wiener dog races/pet races: A wiener dog race is a fun event that can include the entire community. Pet grooming event/philanthropy: Have your community host a pet grooming/bathing event to raise money for a good cause. This also could be a great opportunity to contact a local veterinary clinic to come and provide vaccinations. Many of our NIFS senior living communities host therapy dog visits to their health center and assisted living residents regularly. The animals are intended to serve as companions and have gone through programs to ensure the safety of the residents and animal. If your community is unfamiliar with therapy dogs and training's near you, the AKC has information on how to train or find therapy animals for your next event. Many residents enjoy having a walking trail for their outdoor adventures. It’s a great way to get fresh air and enjoy a little sunshine. Why not make it more impactful and bring your pet? Dogs need social interaction and companionship just as much as people do. Bringing your furry friend on a group walk provides a sense of community. It also provides a sense of security that will get you back out with a group. Yoga is a very beneficial form of exercise. Yoga is known to reduce stress, increase flexibility, and help you focus on mindfulness. Make this journey even more fun by adding pets to the mix. Depending on your pet’s obedience, size, and personality, yoga can be something that you both enjoy. Our Active Aging NIFS Manager in Lakewood, New Jersey, Rachel, recently hosted an event like this during Active Aging Week. The event was so successful that her community is going to start hosting it regularly. All of these activities are safe, impactful ways to include pets in your community. Have you hosted or participated in a pet-friendly event recently? Comment below! We would love to hear about ways that pets are part of your community. Six months ago, a friend dared me to give up cardio for three months and focus on strength training. My initial response was, “No way! I’m a runner, I’ve always been a runner. There is no better exercise than running!” My friend was relentless and eventually I agreed to take a brief hiatus, although I was convinced that I would turn into a mushy ball of goo if I didn’t get in my daily run. Fast-forward six months. During this time, I’ve followed a low-impact exercise routine, which includes four days of low-impact strength activities such as yoga, one day of cardio, and one day of heavy weightlifting. And I have to say, the results are completely the opposite of what I expected. I gained 10 pounds, but my body measurements decreased. This was perhaps the most surprising change that I noticed. Muscle tissue takes up much less space than fat. After nearly six months of strength training, I’ve added 10 pounds to my frame and my clothes are fitting better than ever—not to mention it feels good to look in the mirror. My energy levels skyrocketed. There is a reason why running burns so many calories: It’s HARD work! And when your body works that hard, you’re going to feel fatigued. Even if you sleep seven to eight hours a night, the physical strain of high mileage takes a toll on the body. I must admit that my energy levels are higher than they’ve ever been, even though I have a 5am alarm to fit in my exercise before work. In fact, I feel more fatigued on the days I don’t exercise! I’m not as hungry. This was a “well DUH” moment for me. Many people tend to focus on the calorie-burning power of running without stopping to think that your body will want to replace all those calories. Several weeks after I stopped running, I noticed that I had a much easier time regulating my food intake. I didn’t need to eat as much, but I felt fuller with the foods I did eat. I’ve noticed improvements in other areas of physical fitness. Previously, I was focused on distance, time, and miles. To me, a run wasn’t “a run” unless I ran at least four miles. Now I’m focused on how many pushups I can do with proper form (I’m getting close to 30! ), how long I can hold a plank (nearly five minutes! ), and how many pullups I can do (well, let’s just say I’m still working on this one). I have fewer injuries. Focusing on low-impact exercise and strength training has helped my body recover from more than two decades of intense, running-focused exercise programs. My legs no longer ache if I stand for more than an hour. My tight hip flexors are starting to relax, particularly as I focus on improving the flexibility and strength of my hamstrings and glutes. In sum, to everyone out there who is worried about limiting their cardio because they don’t want to risk gaining weight, try it for three to four months. You might just be surprised at how different you feel and the gains you make! Looking to help your employees move more? Check out our free download below for more information on how to add exercise to your worksite! *Weight loss claims or individiual results vary and are not guaranteed. Every year the American College of Sports Medicine (ACSM) conducts a survey across the United States to determine what trends will be seen in the coming year. Completed by over 1,800 fitness professionals, the survey has found the following to be the top 10 fitness trends for 2017. 10. Wearable technology, such as activity trackers, smart watches, heart-rate monitors, smart eyeglasses, and GPS tracking devices. 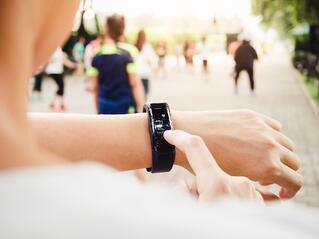 Check out this blog post about the challenges with high tech wellness. 9. Bodyweight training requires minimal to no equipment and can be done anywhere, which makes it an inexpensive way to stay fit. Check out @NIFSquickfit on instagram for inspiration to use your bodyweight to train at home. 8. High-Intensity Interval Training (HIIT) involves short bursts of exercise followed by a short period of rest or recovery and can take 30 to 60 minutes, or longer, to complete. 7. Educated and experienced fitness professionals are becoming more available as the ways to get certified and educated grow. Finding professionals who have gotten certified through nationally accredited programs can help consumers make an important decision more easily. Looking to staff your onsite fitness center, check out how you can get back to business and let the professionals handle your fitness center. 6. Strength training has been trending since the first survey was published by ACSM in 2006. Strength training can help many to improve or maintain current levels of strength. Grab your co-workers and get fit at lunch. 5. Group training is designed for participants with varied levels of fitness. Group fitness instructors specifically program these classes for a fun, motivational, and effective large-group experience. 4. Exercise Is Medicine is a global health initiative based on the belief that exercise can be preventative as well as a way to treat diseases. This initiative brings health care professionals together with exercise professionals to include physical activity as treatment. 3. Yoga can be practiced in many forms, including but not limited to Power Yoga, Yogalates, and hot Yoga. Yoga uses specific types of postures to help with flexibility, relaxation, and health. Can't make it to Yoga? Take a moment to stretch at your desk. Making time for a five minute stretch break will help you ease tension and relax the mind. 2. Personal training has not left the top ten since the first survey was published in 2006. Personal trainers will continue to be an integral part of the professional staff in all areas of health and fitness centers. 1. Exercise and weight loss combine calorie restriction and exercise programming to control weight loss. 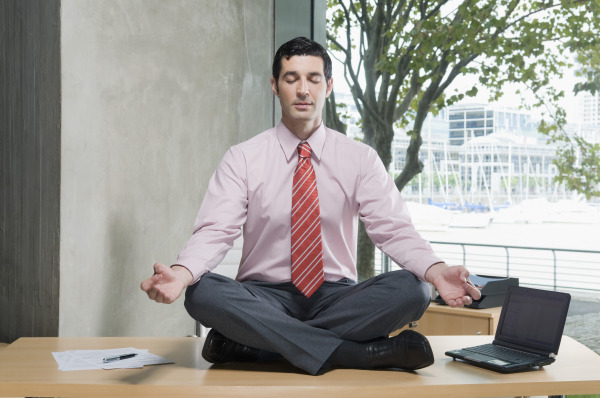 Looking to improve the health and wellbeing of your employees this year? Let us handle your program and you get back to doing what you love to do. Click below for our quick read to find out how we make corporate fitness easy. Obesity is an epidemic in our society today. Those who are obese have greater risk of diabetes, coronary artery disease, stroke, and arthritis. 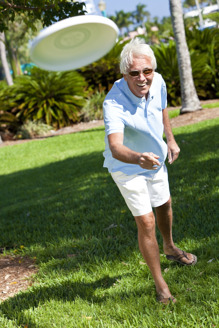 This article discusses obesity in the elderly and how it increases their risk of falling. As might be guessed, the greater an individual's degree of obesity, the greater the risk of falling. A fall may also bring about greater disability for an elder’s ADLs (Activities of Daily Living). For more mild cases of obesity (BMI 35.0–39.9 kg/m (2)), an elderly person is at greater risk for long-term disabilities after falling. If an elder is more of a “weekend warrior” type, this claim makes sense. They are obese and need to make lifestyle changes, but they aren’t in such bad shape as to be completely sedentary (inactive). If they attempt a very strenuous activity, they could very well cause themselves a long-term disability. 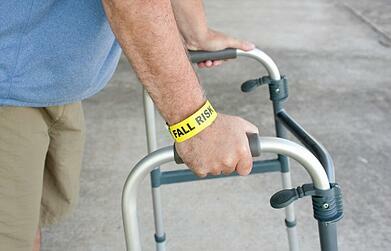 One claim the article makes is that obesity may reduce an elder’s risk of injury from a fall. This claim doesn’t make sense from an orthopedic perspective. What do most of us do when we fall? We put out our hands to try to catch ourselves, right? 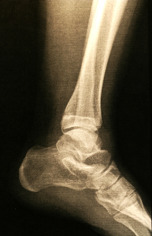 Imagine the shoulder and wrist injuries that even a healthy, active athlete could sustain in such a fall. An obese elder is most likely going to have been sedentary (inactive) for at least several months. Being sedentary will have caused atrophy (wasting of muscle tissue) throughout the person’s body. 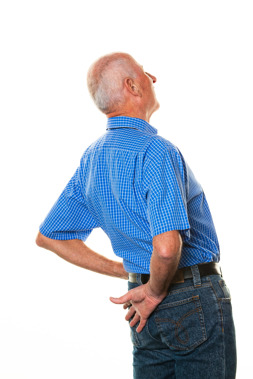 Wrist and shoulder injuries, and perhaps even head and neck injuries, could be expected in an obese elder suffering a fall. Practicing prevention is much easier than being laid up with an injury. Strength training, yoga, Pilates, and other forms of exercise, combined with a healthy diet, can help keep us all more fit and active in our later years. Download our whitepaper on Advanced Balance Programming for your CCRC. Many Continuing Care Retirement Communities (CCRCs) offer a variety of group fitness classes to their residents. The community personnel who hire the group fitness instructors (GFIs) may benefit from a few pointers on hiring standards beyond someone’s personality alone. Don’t get me wrong, the right personality and ability to build relationships with residents is crucial for making a class successful. However, a narrow focus on personality alone may not provide your residents with the maximum benefits of participating in the activity and could create a dangerous environment. To protect participants in group exercise classes (whether in commercial gym, church, school, or CCRC settings), fitness industry standards require that GFIs maintain current instruction certifications and CPR/AED certifications. Contracted GFIs should also carry proof of personal liability insurance. Well-qualified GFIs are aware of these standards and likely would not be in the practice of instructing without maintaining those certifications. For community personnel hiring these individuals, that may be your first sign. If someone applies for the position and cannot provide proof of current certifications and liability insurance, they likely aren’t the best fit for meeting the fitness program standards for your community. Furthermore, communities should make sure that they are maintaining current copies of certifications from their existing GFI staff. If you find that existing instructors do not have current certifications, it’s likely time to establish a timeline within which your GFIs can obtain a certification to continue with their instruction. It’s also important to make sure that GFIs have experience teaching an older-adult population. When looking for an instructor, you might contact local senior centers, churches, or YMCAs and share information about your opening and provide the requirements and qualifications you are looking for in a GFI. This may provide you with a better candidate pool than having to sift through GFIs who teach boot camp, kettlebell, or kickboxing-type classes. Looking at certifications and experience instructing older adults is the best starting point when looking for a GFI. However, as previously mentioned, the personality of the GFI is also critical for the overall enjoyment of the participants. When replacing an instructor or recruiting an instructor for a new class format, you might consider surveying your residents on their desired qualities in an instructor and in a class. For example, if you are searching for a yoga instructor, residents may have feedback on enjoying the relaxation benefits of the class. This could allow you to question candidates on elements of relaxation they build into their class. While you may not have the expertise to recognize the specific details on the relaxation elements they are discussing, you should be able to gather feedback on their style of instruction: Is it soothing, focusing on breathing and guided imagery and providing a sense of calming for participants? Or does the instructor focus on deep stretching or strengthening throughout the class? Establishing standards for GFIs in your group fitness program can benefit more than just your residents. Sharing these standards with prospective residents can be a great marketing tool to promote the dedication and focus your community places on its wellness programming. Preparing for a summer vacation? Be sure to bring workout attire! Instead of letting your exercise routine take off several days as well, check out some of the following fitness ideas and embrace the opportunity to be rejuvenated both physically and mentally. Explore a new city on foot (or on two wheels): take a run, walk, or bike ride. Bring the entire family to sightsee. Have a beach nearby? A sunrise or sunset can set the stage for a great run. Incorporate pushups, lunges, squats, and core work in the sand. Beach volleyball and a Frisbee or football toss will appeal to kids. Seek out opportunities for surfing, paddle surfing, swimming, snorkeling, or scuba diving. Hiking, tennis, and hitting the links (sans cart!) will burn calories while you enjoy the sunshine. Most hotels will have a fitness center, although you may have to get a bit creative since the equipment selection can be limited. Swap the stairstepper for the real thing: climb the stairs at the hotel. No hotel gym? Check to see whether they offer passes to a local fitness center. Bring a mat to practice yoga. Strength train with resistance bands or body-weight exercises (pushups, squats, tricep dips, etc.). Stationary exercises like jump rope, jumping jacks, burpees, and squat jumps will get your heart pumping.